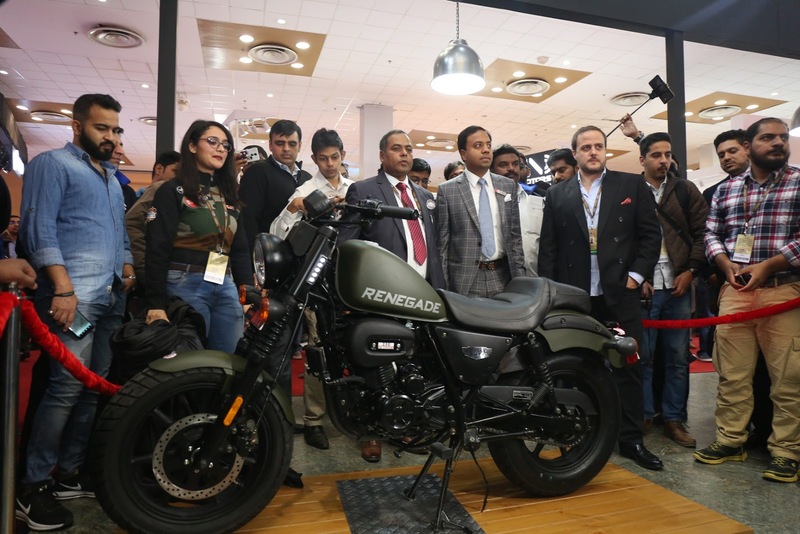 UM Lohia Two Wheelers Pvt Ltd showcased its prowess for the India market today by unveiling three motorcycles at the Auto Expo 2018 – The Renegade Thor, which is also the world’s first electric cruiser, along with the Renegade Duty S and the Renegade Duty Ace. The Renegade Thor produces an impressive 30Kw of power along with 70Nm of torque, and is equipped with a 5-speed transmission gearbox, with a hydraulic clutch and a liquid cooled motor with a controller. 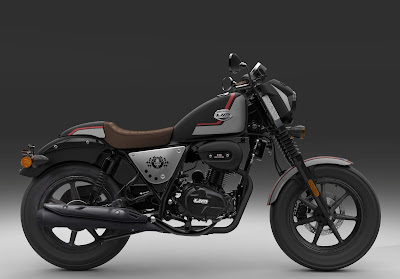 The Renegade Thor also comes equipped with reverse gear allowing for easy maneuvering. 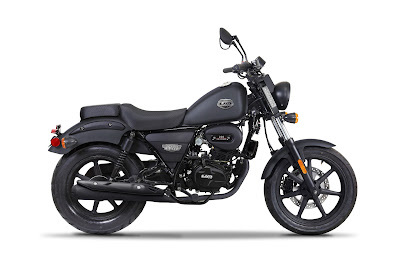 The Renegade Duty S and the Duty Ace come with a 223 cc single cylinder engine mated to a 5-speed gearbox. The four- stroke oil cooled engine churns out 17Ps of power at 8000 rpm and 17Nm of torque. Weighing at 142 and 140 kgs respectively, the Renegade Duty S and the Duty Ace have the potential of being ridden on-road as well as off-road, allowing the light weight to aid in their nimble handling and maneuverability. 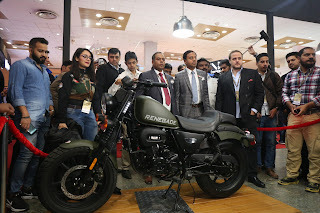 Pricing for the Renegade Thor starts at Rs 4.9 lakh, while the pricing for the Renegade Duty S and the Renegade Duty Ace starts at Rs 1.10 lakh. 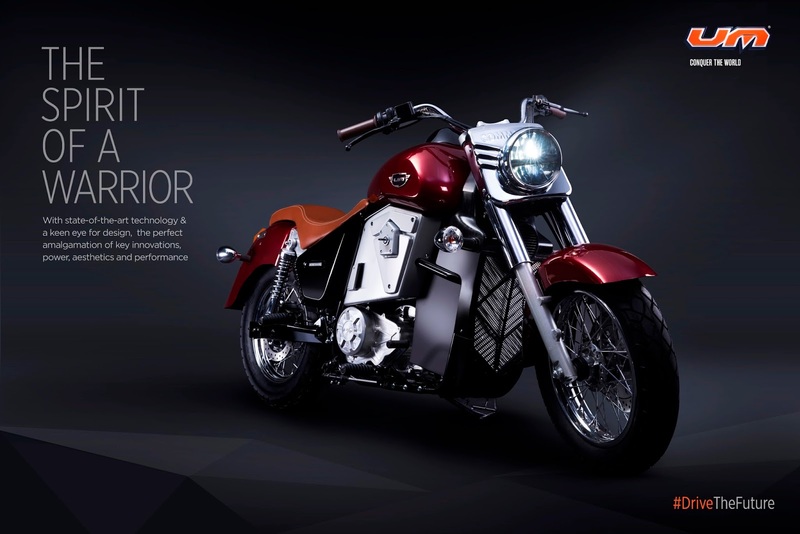 Known for crafting quality bikes that not only ride but conquer the road, UM Motorcycles International, LLC has established itself a leader in offering products that has changed the dynamics of transportation and riding. Since its inception, the brand has been constantly innovating and creating great concepts to provide exceptional transportation to its customers. UM International’s US based headquarters in Miami, FL lead the company’s global strategy in sales, marketing, R&D, manufacturing, financial and after sales service efforts worldwide. Product design, innovation and engineering is born in the company’s Miami based R&D and Design center and carries American DNA. With more than 1500 stores worldwide, the company is present in more than 35 countries with manufacturing facilities through JV alliances in the Philippines and Bangladesh to attend to the domestic demand in these two markets and consolidate its expansion into more than 10 ASEAN (Association of Southeast Asian Nations) markets including Indonesia, Malaysia, Thailand and Vietnam. US-based UM International, LLC &Lohia Auto joined hands in September 2014 to form UM Lohia Two-Wheelers Pvt. Ltd. (UML). The aim of the Joint Venture is to revolutionize in the Auto Industry and change the dynamics of transportation by bringing technologically advanced machines that will suit the discerning tastes of Indian customers. The two brands have combined their synergies to produce vehicles that will raise the ante in the Indian automobile Industry, enabling consumers to reap benefits along with setting new benchmarks. 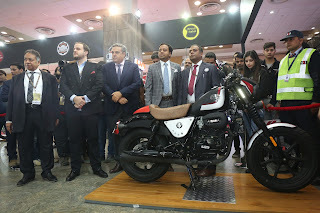 UM Motorcycles is manufactured at the Lohia Auto's Kashipur facility in Uttarakhand which also supports the Government’s "Make in India’ initiative". The company has a capacity to produce 100000 units/Year of Two Wheeler. AlsoLohia Auto has in-house production of various key components and also houses ultra-modern R&D department which provides and ensures innovative, highly efficient & durable electric vehicles to meet the ever growing demands of the domestic and international markets.